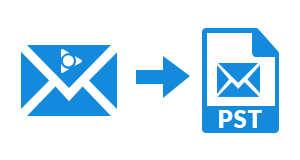 The software carries out entire PFC to PST file migration in a very smooth manner. It exports messages with high level of accuracy, keeping data intact or untouched during the conversion. 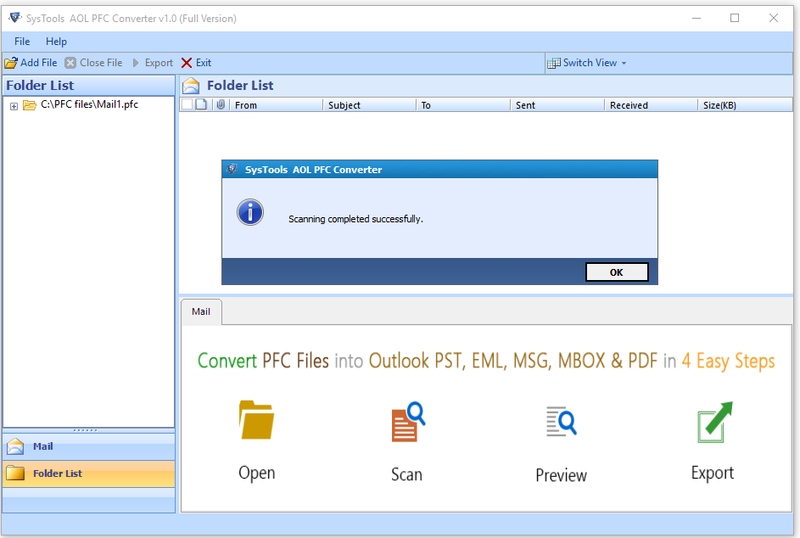 AOL to Outlook converter offers mail filtering feature. 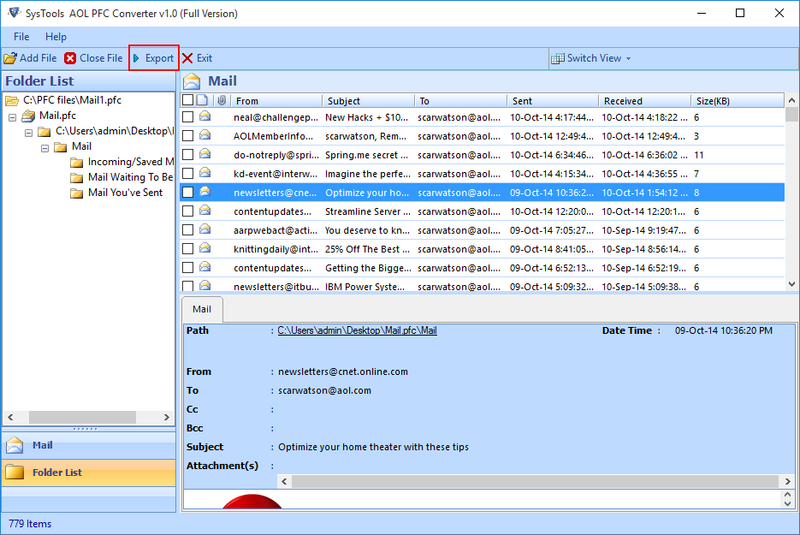 Based upon the desired date range, users can filter out emails of specific time period. This will help in reducing waste time, which might get consumed in unwanted data migration. The tool comprises all the demanded features, which a person can think. It is providing an ultimate feature to preview emails before performing the conversion. 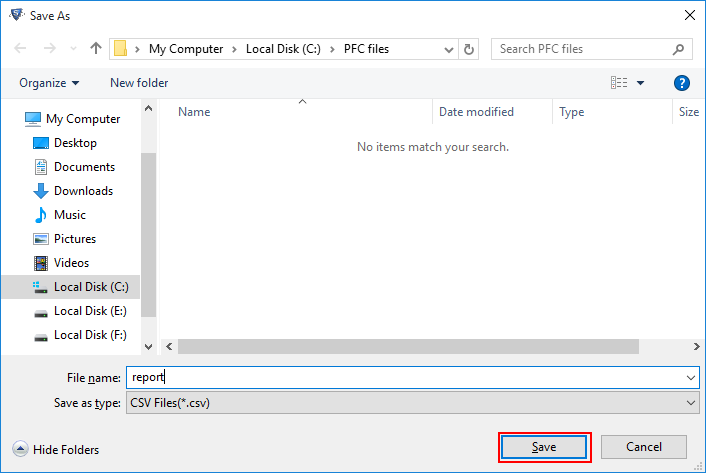 Software will extract data from browsed file and load it on the preview panel. AOL PFC to Outlook PST file converter holds the folder structure of source PFC files while exporting them to Outlook. The original mailing folders like inbox, drafts, sent items, trash, etc., all remains same in resultant email platform. Users can leverage this feature to restrict unnecessary AOL messages from the conversion. They just have to active the checkbox of all desired emails and then right-click on them to begin with the selective migration. AOL to Outlook migration tool has been designed with a responsive user-friendly interface, which enables novice clients to operate it. If in case individual needs any guidance then, our experts are ready to help you anytime. 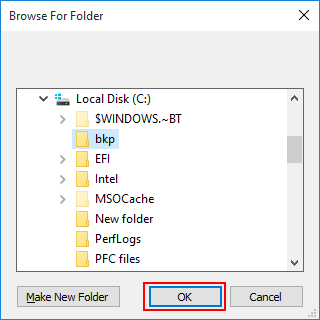 Will I have to change any AOL account settings for transferring AOL email folders to Outlook 2016? 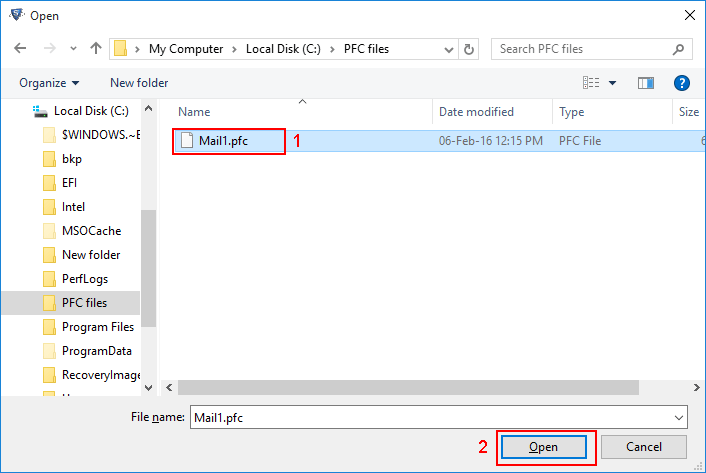 No, only you have to extract PFC database file from AOL email client. And, rest no settings modification is required to work with our tool. How will I utilize bulk PFC file to PST conversion feature of your tool? In order to export multiple AOL files to PST format, you have to browse the source database file one-by-one in our software. After this, you can take a look on all files data that you have selected in this tool. 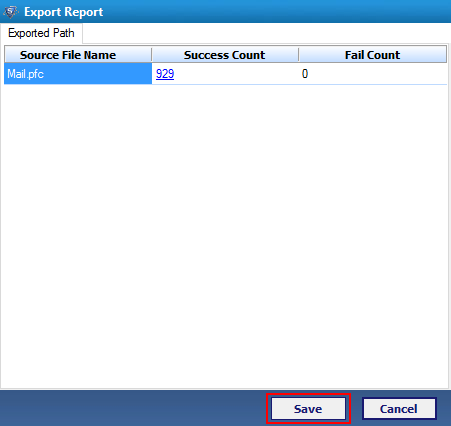 Once you are done with all this, click on Export to initiate migration. Can I export AOL PFC to Outlook 2013 email application with this PFC to PST converter? Yes, the PST file generated from the software is of UNICODE type. 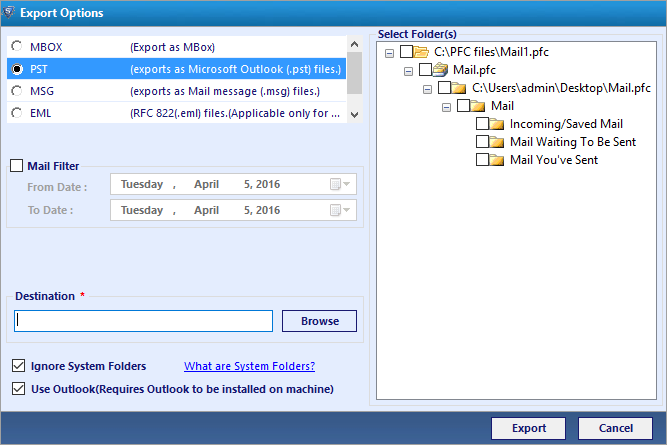 This means that the file will be supported by all versions of Outlook i.e., 2016, 2013, and all below. 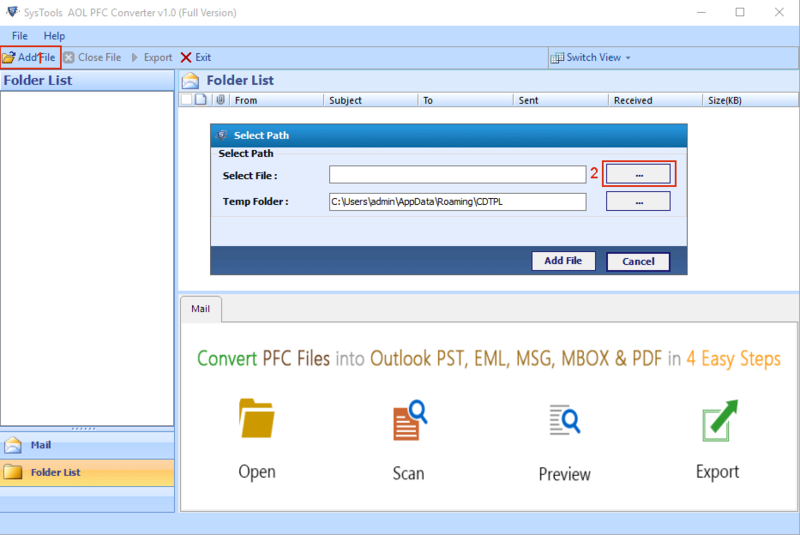 Does your tool exports AOL emails to Outlook with their attachments? Yes, our tool is designed with a set of high-tech algorithms that it provides facility to transfer emails with attachments. The mail attachments before and after the migration are same. Take the mouse arrow towards top-left corner and click on Add File >> three-dots button. "I was having 10 AOL PFC files with me that were to be transferred in Outlook. 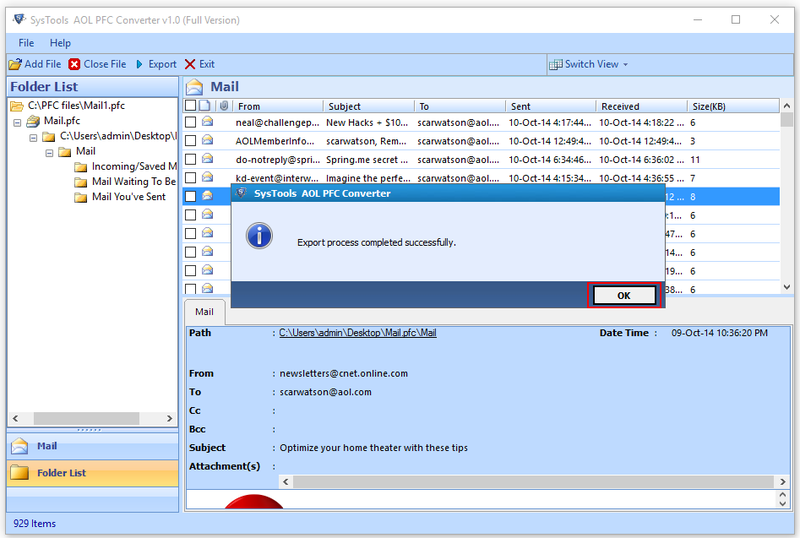 Somehow came across this software, which effortlessly moved all email folders of AOL account in Outlook. Being a naive person, I liked this product because of its simplified interface and working. Thanks to all the hands that are involved behind creation of this innovative software!" 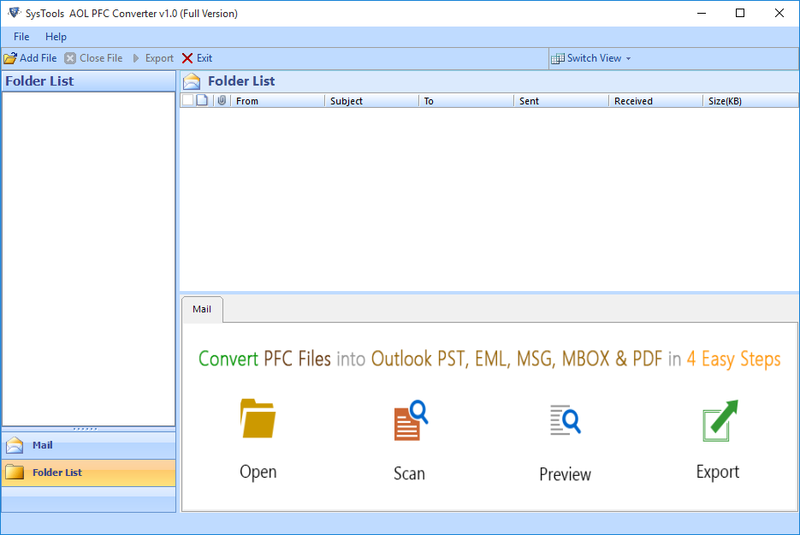 "PFC to PST Converter tool, a trending application in today’s market helped me a lot in migrating AOL email folders to Outlook. It had became a nightmare for me when I was provided a task to move several AOL folders in MS Outlook. I discussed the problem with my sister and she suggested me to use this product. After using this AOL to Outlook migrator, it is now a game for me to transfer AOL messages to Outlook"